Tired of the same old chicken recipes? 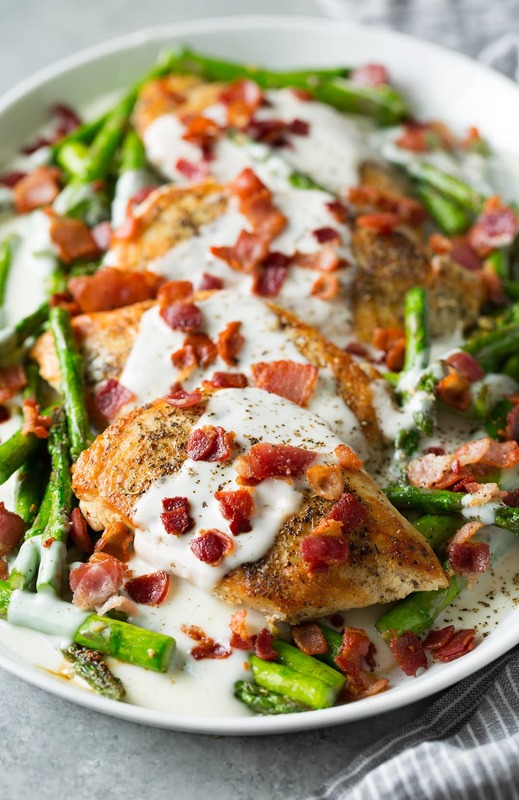 You need to try this easy Chicken and Asparagus with Provolone Cheese Sauce and Bacon! 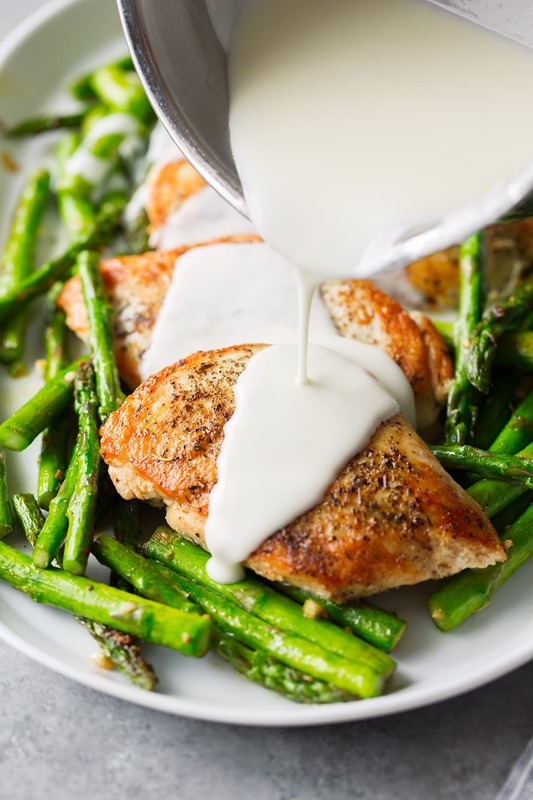 The recipe may require multiple steps since you get that addition of cheese sauce and bacon but the chicken and asparagus combo has never tasted better! Definitely worth the extra effort. It’s a flavorful match that was meant to be. This post has been sponsored by Cache Valley Creamery, however all thoughts and opinions are my own. I love the layers of flavor in this recipe. 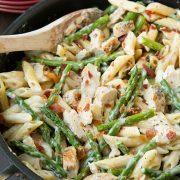 You get this perfectly pan seared and golden-brown skillet herb chicken and it’s paired with a side of sautéed garlicky asparagus. Then you smother everything with a rich provolone cheese sauce and crispy salty bacon. Talk about a delicious dinner! Everyone in my family loved this chicken recipe! For the cheese sauce I used one of my favorite cheeses – Cache Valley Creamery Provolone Cheese Slices. 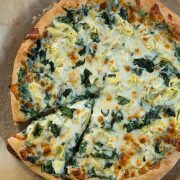 I’ve long used Cache Valley Creamery cheese products – you always get a reliable product you can count on as well as a perfectly delicious flavor! Cache Valley Creamery has been producing top-quality cheese for Utahns and surrounding areas for over 75 years. So, in other words, I love that this is a brand that goes way back, since it means they’ve been doing things right for a long time. To learn more about Cache Valley Creamery visit their website or Facebook page. Their products include: cheese chunks, slices, shreds, string, singles and they also make butter (which I also love). 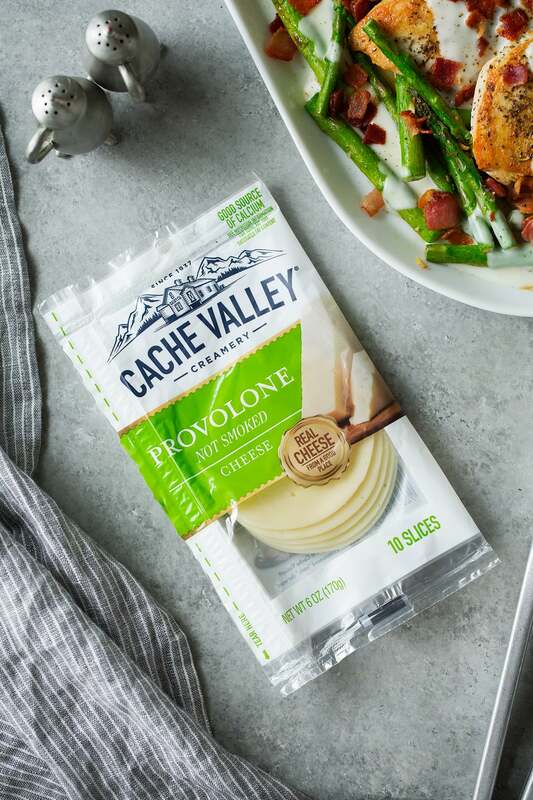 You can find Cache Valley Creamery products at retailers throughout Utah, including Smith’s, Walmart, Fresh Market and Harmon’s as well as other independent stores. And did you know that Cache Valley Creamery is an official sponsor of Real Salt Lake? While cheering on your favorite players you can purchase melt-in-your-mouth grilled cheeses made with Cache Valley Creamery Naturals Slices at the Royal Grilled Cheese Cart during the regular season home games all season long. Now we’re talking stadium food! Plus, be sure to check out Carnival Real before the April 7 game and stop by the Cache Valley Creamery booth at the Mini Foot-Golf Course (outside Rio Tinto Stadium), where fans can sample delicious Cache Valley Creamery String Cheese and spin the Cache Valley Creamery Cheese Wheel for a chance to win fun prizes. First, you’ll season the chicken breasts. Then sear them in olive oil in a skillet until cooked through. To make the most of your time, also cook the bacon in a separate skillet while the chicken cooks. Then cook the asparagus in olive oil (or rendered bacon fat would be delicious too!) with garlic until tender. And make that delicious cheese sauce by creating a roux (butter/flour mixture) and whisking in milk. Then turn off the heat so the cheese doesn’t separate and whisk in those delicious diced Cache Valley Creamery Provolone Slices and shredded parmesan cheese. Can’t you just taste all those layers of flavor now?? This is a recipe you don’t want to pass by! Yes this recipe does require multiple steps and pans but trust me it’s so worth it! It’s still a pretty simple recipe that comes together rather quickly. Try it once and you’ll be smitten! I had this ready in 30 minutes (I timed it the second time), the trick is just to have multiple things cooking at once. You can also prep while things are cooking. 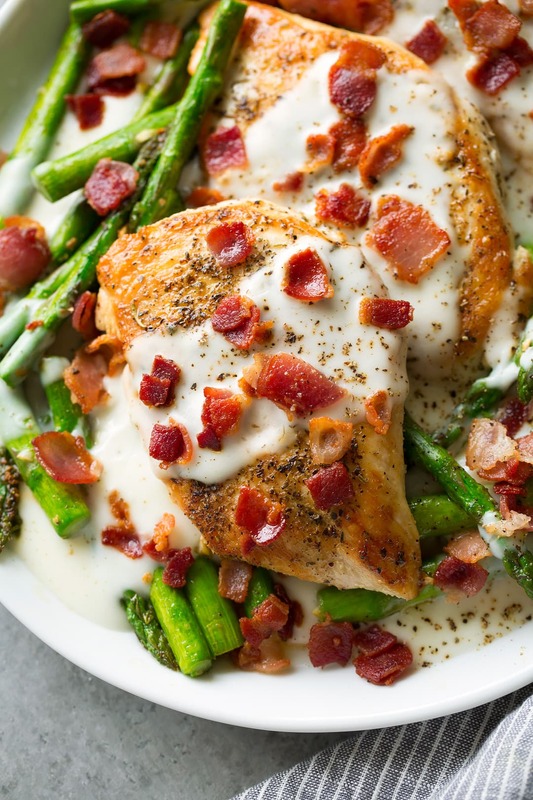 The perfect combo of chicken and asparagus is paired with a rich and creamy provolone cheese sauce and crispy salty bacon. Talk about over-the-top seriously delicious dinner! Ready in no time and sure to be a hit! Heat 1 1/2 Tbsp olive oil in 12-inch in a skillet (I used stainless steel) over medium-high heat. Season both sides of chicken evenly with salt and pepper and Italian seasoning. 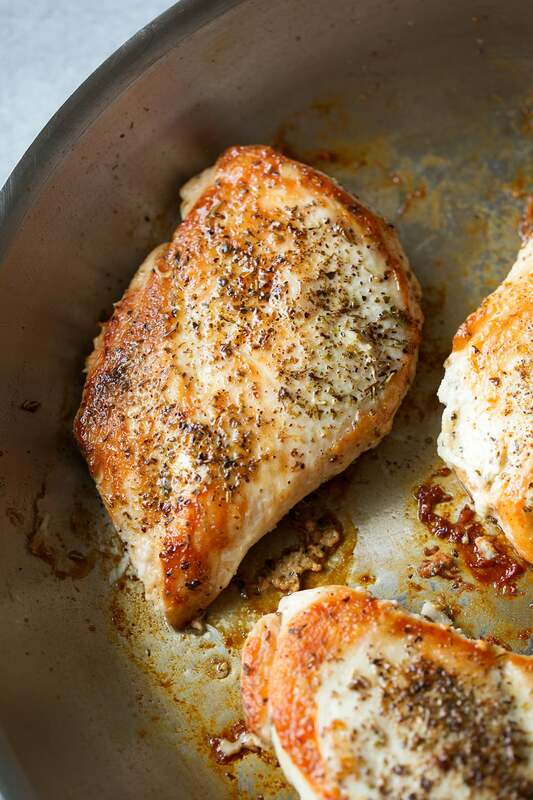 Cook chicken in skillet about 5 minutes per side, or until center registers 165 degrees. Remove chicken from skillet cover with foil to keep warm. While chicken is cooking, in medium non-stick skillet cook bacon over medium-high heat, tossing occasionally until cooked through, about 6 - 8 minutes, drain on a plate lined with paper towels. Heat remaining 1 1/2 Tbsp olive oil in skillet that was used to cook chicken over medium heat. 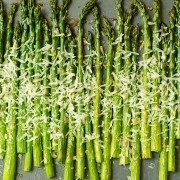 Add asparagus, season lightly with salt and cook, tossing occasionally until tender crisp, about 4 minutes. Add garlic and saute 30 seconds longer. While asparagus is cooking, in a small saucepan melt butter over medium heat. Add in flour and cook and stir constantly, 1 minute. Pour in milk, season with salt and bring mixture to a simmer, stirring frequently. Remove from heat and stir in provolone, and parmesan, whisking well until melted (note that you'll want to serve cheese sauce immediately, or reheat over low heat whisking constantly as it does thicken quickly as it rests). 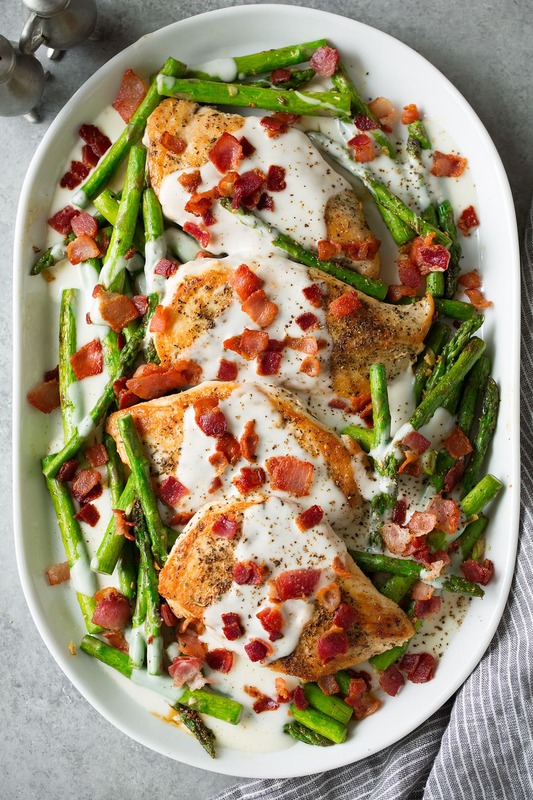 Plate chicken and asparagus, drizzle over provolone cheese sauce and sprinkle with bacon and pepper. Serve warm.